Consumers concerned about taking care of every detail of their image, are interested in knowing which are the best watch brands, quality assurance and a good long-term investment. and making them the favorite of the most demanding users. When you do not know what to give, a wristwatch is never a bad choice, be it for Christmas, birthdays or special dates. Be that as it may, we recommend which are the best watch brands for him or her that you can choose. We already warn you that in some, the disbursement will not be small. Many of the best watch brands are currently Swiss tradition. Since 1951, Viceroy has been gaining the trust of lovers of good watches for its combination of traditional manufacturing lines with other more modern, always without sacrificing luxury. For the poorest pockets, Viceroy is one of the most economical purchases, so keep this great company in mind for your next gift. It is rare to present a list of outstanding products and that there is no Japanese company. To continue with the custom, here is Seiko, perhaps one of the best watchmaking brands in Japan and one of the leading companies in the world , founded by a former watchmaker in 1881. The wide range of products of this company ranges from low-end watches to more affordable prices, to watches for customers with high purchasing power. The French also have something to say in the watch industry. Known by all, the Cartier brand exists since 1847 , surname of the family of goldsmiths to which its founder belonged. We owe them the first wristwatch, which went on the market in 1904. Maybe you’re interested: Types of men’s dress shoes (and when to wear them) . One of the most innovative companies in the market and which, nevertheless, remains in our list of the best watch brands for men and women, is Lotus, a company based in Spain. This watchmaking house has existed since 1980 and touched the sky five years later, when it launched its Lunar Phase model . Since then, the popularity of Lotus was increasing, expanding its points of sale throughout the continent, thanks also to its catalog of jewelry and beads. Again, one of the great watch manufacturers has a Swiss designation of origin, as in its day, many illustrious families of watchmakers prospered to become what most are today: leaders in the art of watchmaking. However, this seal of quality is accompanied by an increase in disbursement, since TAG Heuer watches (as sporty, some, as elegant, others) are among the most expensive you can find. Of course, its strength and quality have no equal. We continue with the Swiss representation in our list of best watch brands for her or him. Like many others, Tissot carries the surname of its founder, who founded this company in 1853. At that time, Tissot joined forces with another watchmaking giant, Omega. For decades, they formed the alliance known as ‘SSIH’, which would last until the 1980s . After several restructurings, Tissot would become part of the Swatch group in 1998. As a curiosity, mention that Tissot made the first watches made of wood, plastic and stone, materials not usual for this type of gadgets. Regarding its price, they have a repertoire suitable for any type of budget, which makes it a very worthy recommendation. Casio is another of the large Japanese multinational companies , specializing in electronics devices, but also includes the manufacture of watches (digital, of course) that we can see in any corner of the globe and in clients of varied profile. Special mention for his model F-91W , a great success of sales at the beginning of the 90 and that still survives as one of his best seller . Although originally a firm specializing in the sale of jewelry, Bulgari Italians have now expanded their catalog of products to offer also luxury accessories, fragrances, leather goods and, of course, also watches. So much so that nowadays it has become one of the company’s manufacturing the best watches for all tastes, adorning important personalities from the world of cinema and sports. We can say that the Swiss have practically taken control of the watch industry. Proof of this is that the silver as the best watch brand is carried by Omega watches. Its longevity (since the mid-nineteenth century), has allowed this company, one of the appropriate by the Swatch group, to sponsor several editions of the Olympic Games; besides being the firm chosen to time different sporting events. 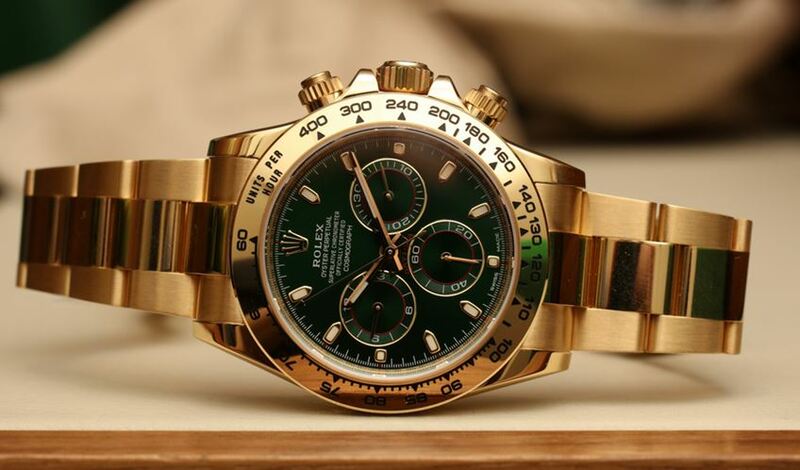 Without a doubt, the first position of our list could not be otherwise, goes to Rolex. The Swiss luxury brand has achieved worldwide success , thanks to the production of wristwatches of different sizes and cuts: both classic and sporty and made of exquisite materials ranging from steel, gold, rose gold, white gold and even, for the fullest pockets, platinum. Latest Bridal Dresses Mehndi Design Jewelry Shoes | Fashion Pk Copyright © 2019.